Japan is a country full of marvels and rich with history. Its colorful culture is admired by many. Foreigners and locals travel to different parts of the country just to experience Japanese culture. 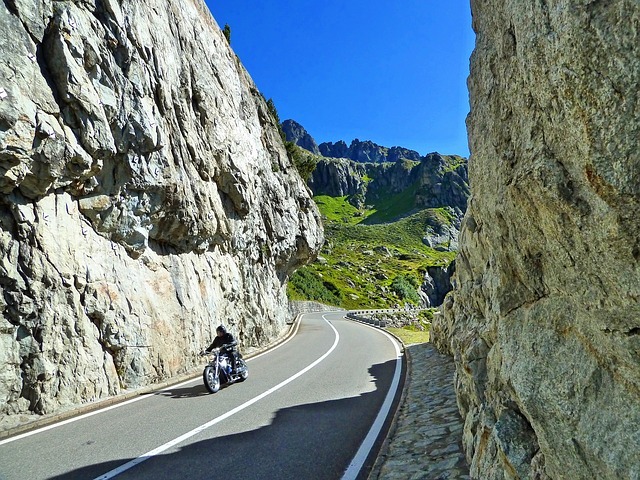 When you travel to a new country, there will always be things that you are not familiar with. If you go to a certain place, there will be structures and symbols that you will be seeing for the first time. If you are one for discoveries, I am sure that you would want to know what those things are. In connection with the article I wrote about famous Shinto shrines, I would like to introduce to you the different structures and objects that you can normally find inside the shrine complex. So when you go there, you will already be familiar of the objects and structures that you will be seeing. Shinto shrines are places of worship where the kami (Shinto “gods”) reside. The people visit these shrines for blessings and to offer their prayers. You will mostly a huge crowd during New Year and other events like setsubun, shichigosan and other festivals. This is the first on the list because the shrine’s torii gate will be the very first thing you will see upon arriving at the shrine. The torii gate is at the main entrance of the shrine complex. Torii gates are typically painted orange and black. They can also come in other colors and sizes. 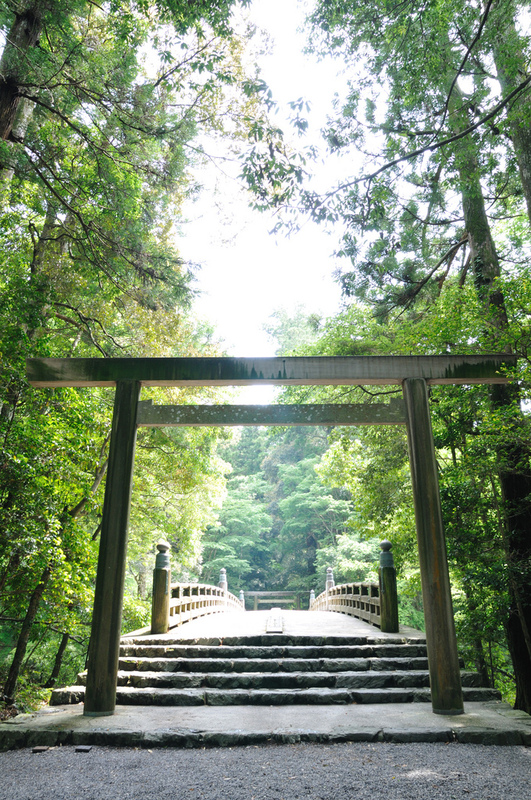 Torii gates are mostly made of wood but they can also be made with various materials. Fushimi Inari Shrines is well-known for its vermilion Senbon Torii (thousands of tori gates). These though are located at the back of the shrine’s main buildings. You can take a walk under the vermilion torii gates. It almost feels like it is a portal that would lead you to a mystic place. Aside from the torii gate, the komainu will meet you at the entrance of the Shinto shrine. Komainu are guardian dogs that come in pairs. You will see them on each side of the main entrance. These guardian dogs are considered as servants of the shrine’s kami. They are normally dogs, lion or foxes depending on the kami they serve. 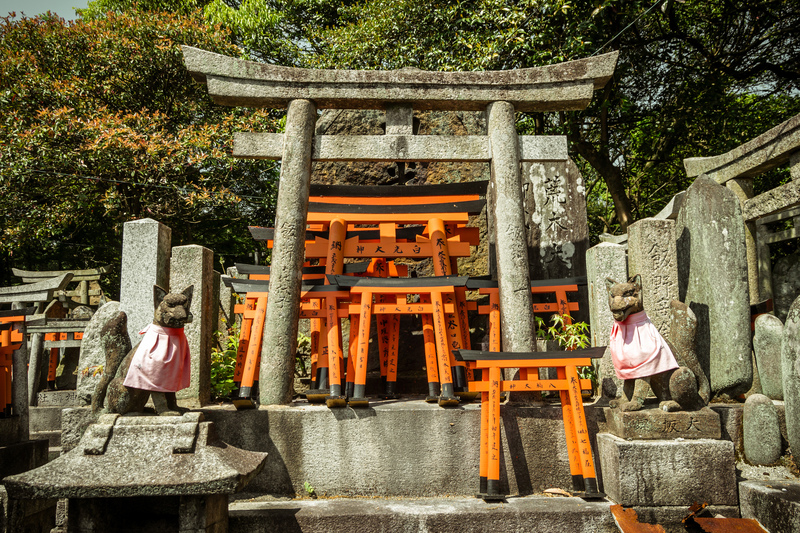 Also at the Fushimi Inari Shrines, you will see the guardian foxes all around the shrine complex. You will find the purification fountain near the shrine’s entrance. There will be wooden ladles provided for guests to use. You can perform the purification ritual to clean you hands and mouth. You need to use the ladle, fill it with water from the fountain and rinse both of your hands. From the ladle, put some water into your cupped hands; put the water in your mouth and rinse. Be sure to spit the water beside the fountain and not swallow it. Make sure to note that you must not directly transfer the water from the ladle to your mouth or cup water in your hand directly from the fountain. Although this procedure needs to be followed when doing purification, the purification ritual itself is optional. I recommend you try it at least once though. The shrine’s main honden (main hall) and haiden (offering hall) are normally located at the inner part if the shrine complex. Depending on the architectural style of the Shinto shrine, there are those who have the honden and the haiden together or in two separate buildings. 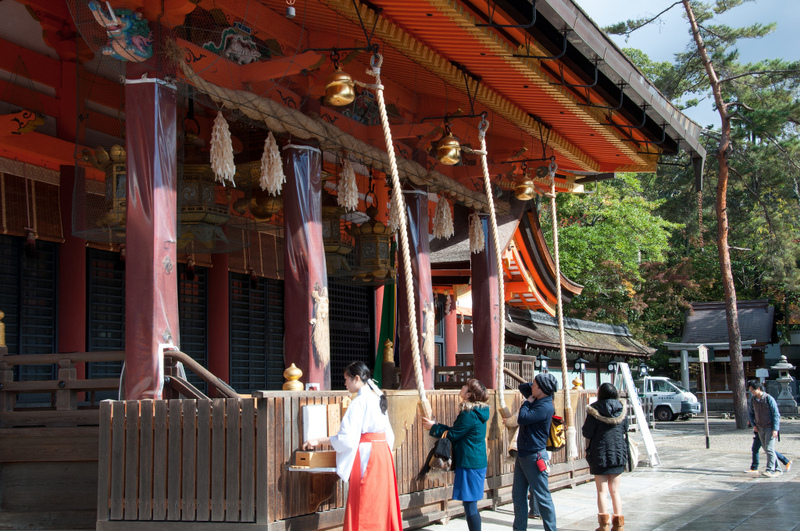 It is the main hall that keeps the shrine’s sacred object (that represents the kami) in its innermost chamber. It is in the main and offering hall where you will be making your prayers and giving your offerings. If you watched Japanese movies, dramas or anime, this is where you will throw a coin into the offering box, bow deeply twice, clap your hands twice and bow deeply once more and offer your prayer. There are also shrines that have gongs (or those bells). You can pull it first before offering your prayer. This is done to get the kami’s attention to ensure that your prayers are heard. 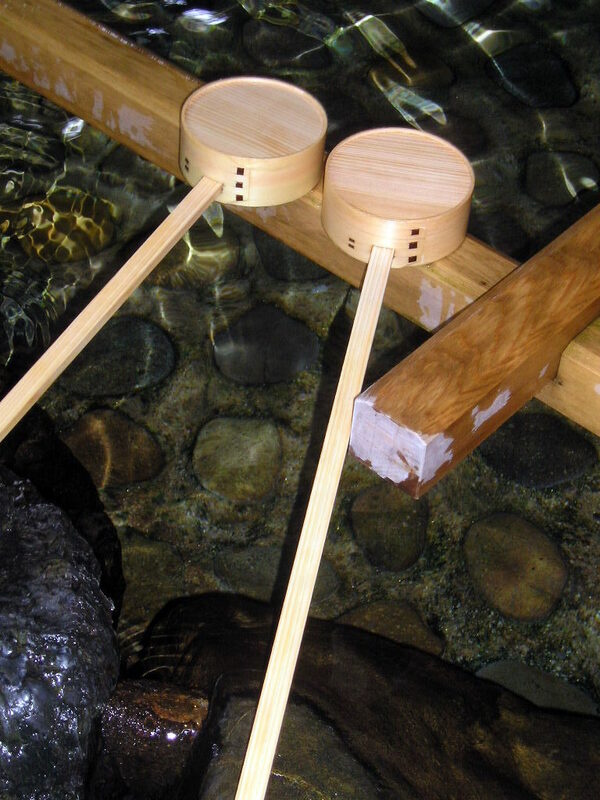 The shrine stages are used for noh threater performances or bugaku dances. 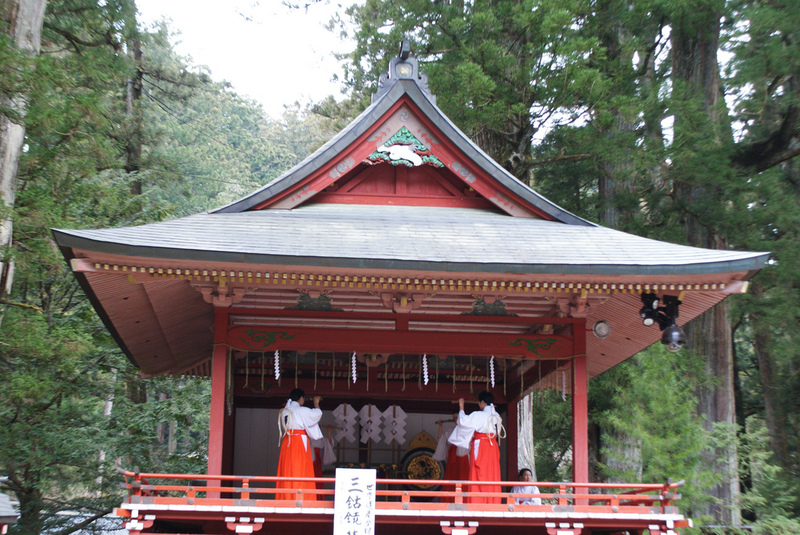 During festivals, this is normally where shrine maidens dance as offering to the kami. 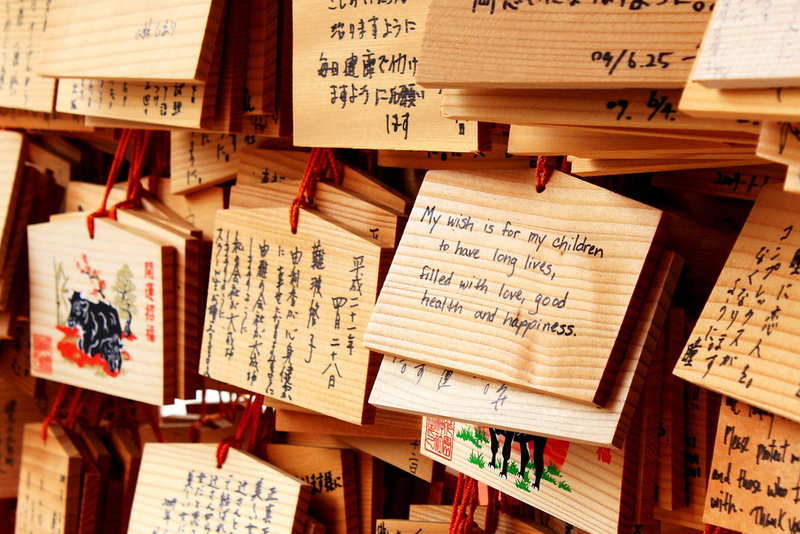 When people go the shrine, they almost always draw omikuji to find out their fortune. Omikuji are fortune telling slips of paper. There is a shrine building where you can draw your omikuji. Drawing it is in random though. You can draw daikichi (great good luck) or daikyo (great bad luck). You can normally see people draw omikuji during New Year so that they will know what their luck is for the rest of the year. 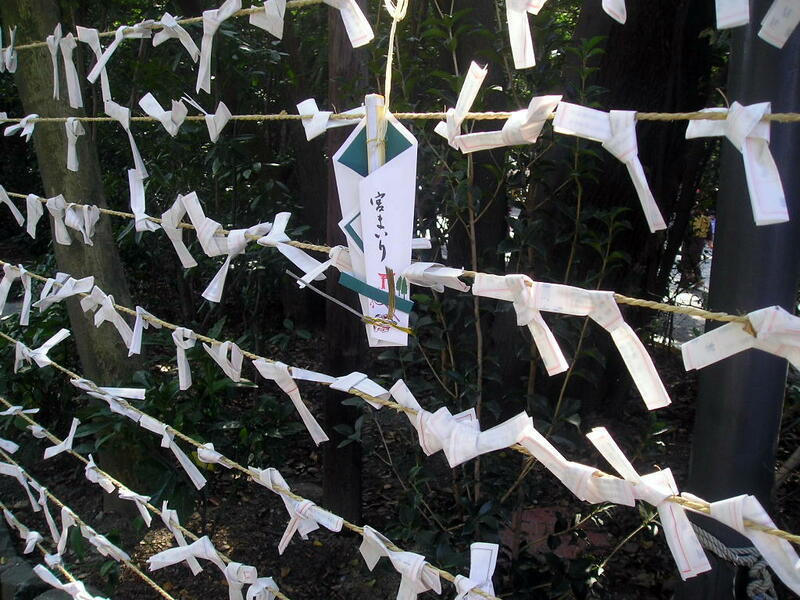 The reason why people tie the omikuji around a tree’s branch is so that good fortune will come true (if you draw good luck or great good luck) or that bad fortune will be averted (if you draw bad luck or great bad luck). You will see a straw rope with those white zigzag paper strips (shide) on them at the shrines. You will normally see them on torii gates or some sacred trees or stones. This symbolizes a boundary to something sacred or a place where a kami’s power dwells. 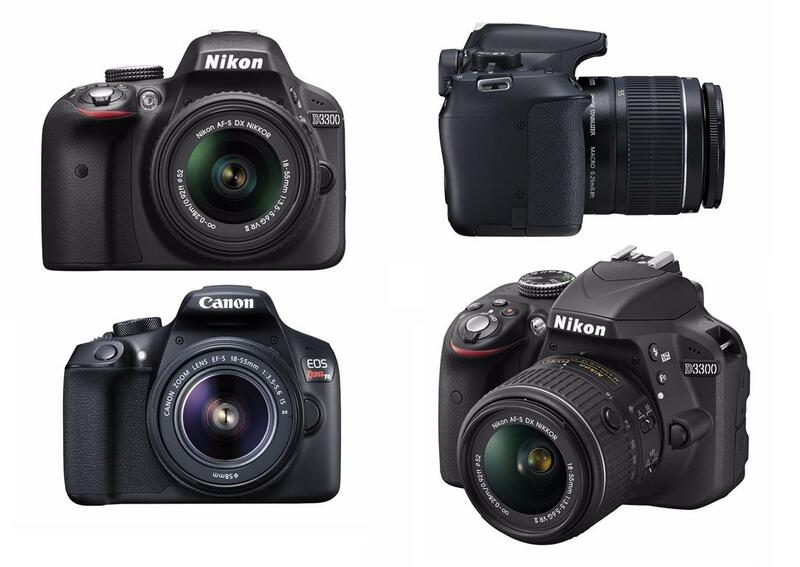 These are just the basic objects and structures that you will see in a Shinto shrine. In larger shrine complex’s, there are also buildings for the priest, offices, storehouses and other buildings. There are also shrines that have museums like in the Outer Shrine of Ise. When you come to visit a Shinto shrine, you will already know the basic structures and can already concentrate on learning more about the shrine’s history and other interesting architecture.